Finding a good pair of comfortable flat shoes can feel like finding a needle in a haystack. As someone who has traveled a lot and roadtested dozens of shoes, I know this problem well. 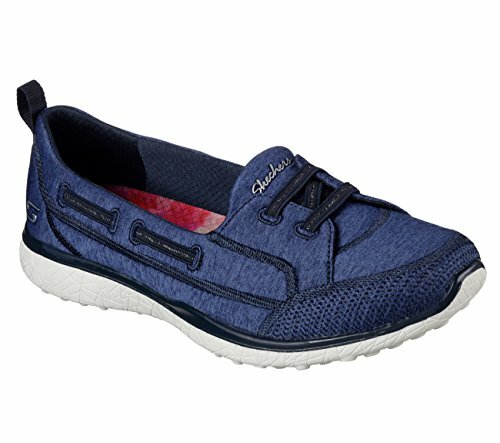 Why is it so hard to find comfortable flats for walking? Why Is it Hard to Find Cute and Comfy Flats? After searching high and low for comfortable flats, I’ve seen two recurring situations. The flats are Stylish, but they’re very uncomfortable and give me painful blisters. The flats are Hideous, but they are comfortable. 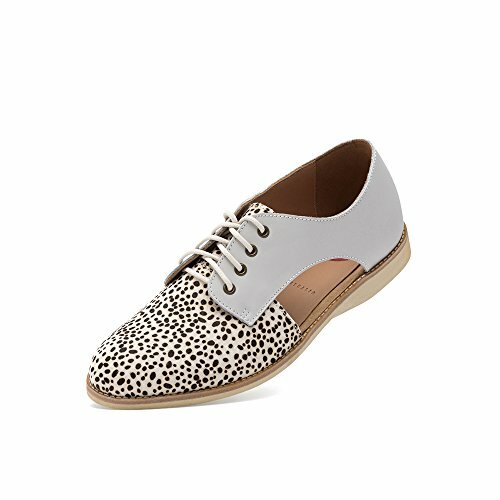 Is it possible to buy flats that are both Comfy and Stylish? Well, I’m glad to say that I have found the Best Flats that combine both style and comfort. I’ve tested dozens of flats and I’ve found the prettiest and most comfortable flats around. Whether you’re on your feet all day, on vacation, or having brunch with your girlfriends, keep reading for my Top 10 Favorite Comfy Flats. Every time I’m out having brunch with my girlfriends, I get at least one compliment from a random stranger. I call these my “lazy fashion” shoes, because they make me look fashionable without any effort. These stunning flats effortlessly combine style and comfort. The low heel makes them easy and comfortable to walk in. Like all neutral-colored shoes, they have a flattering and leg-lengthening effect. Try it, it works. 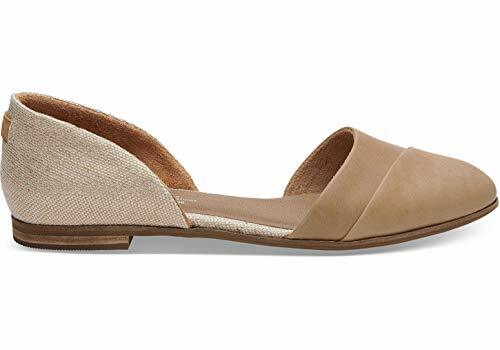 These are a great choice if you are looking for the most comfortable flats for work. There are several colors to choose from, so it’s easy to pick how casual or sophisticated you want to be. I think they’re a great combination of casual and elegant so would work in most workplaces. The hardest working shoe in a woman’s closet, ballet flats are a wardrobe staple. This carefully crafted pair of flats from French Sole is the most comfortable ballet flats I’ve ever worn. And it’s no wonder. These comfortable black flats are a dream to walk in thanks to the sumptuous materials and bouncy outer sole. They have a flattering almond toe that adds an extra layer of sophistication. If you’ve ever thought of owning a classic pair of ballet flats, these are the ones to try.I mean, the British Royal Family has been wearing these flats for decades. Princess Diana was a fan and so is Kate Middleton. Consider me convinced! When I was in Paris last summer, many chic French women were wearing a classic d’Orsay flat. I took a mental note and vowed to grab myself of a pair when I got back home. They manage to combine casual style with a touch of flair – something French women do best. I found these flats very comfortable and supportive. If you need to be on your feet all day, the sole on these flats is very sturdy. I walked in them for five miles one day and there were no achy feet to speak of. The flat’s simple design fits perfectly with a variety of outfits, which makes this a staple in my wardrobe. The Honey color is flattering and complemented my black skinny trousers, blue jeans, and my favorite dresses. Known for their European craftsmanship, French Sole are every chic woman’s favorite ballet flat brand. As soon as you slip on their flats, you realize this is going to be an elegant experience. From the exquisite materials, to the perfect “Cinderella” fit, you will get a little spring in your step when you wear these flats. French Sole has a knack for creating chic designs with subtle details that set them apart from other shoe brands. From the patterns to the choice of materials, this shoe is meant to exude quality and taste. Try this: Put on a pair of jeans, a well-cut white t-shirt, and a swipe of lipstick. Then slip on these ballet flats. You’ll instantly feel put together and chic. That’s the power of a quality pair of ballet flats. The perfect shoe for running around in all day, the Skechers Microburst Flat Sneakers are a dream to wear. My sister took these to Disneyland (a.k.a. the Ultimate test) and she didn’t get any blisters or get achy feet. They’re simply the perfect combination of sneakers and flats. I like to carry an extra pair of these sneaker flats in my car. They’re great to have on hand if I suddenly decide I need something comfortable. I’m always in them on the weekends or when I’m watching my kids play outside. Running after them is easy, thanks to the sneaker sole. For years I was unaware that Dr. Scholl’s made anything other than comfortable insoles. So when I saw one of my favorite bloggers/style inspirations, Emily Henderson, rocking a pair of Dr. Scholl’s shoes, I was pleasantly surprised. Who better to make a comfortable flat, than the leader in advanced comfort insoles? I’ve worn a few of their shoes, but the Dr. Scholl’s Kimber Pointed Toe Flat, is a personal favorite of mine. Cheaper than identical flats sold by J. Crew and Madewell, these flats are actually more comfortable than either of their versions. Hidden away in the stylish shoe is a thin and flexible memory foam insole. I can walk for miles in these and not feel any aches. For a shoe this stylish, that’s hard to beat. A favorite of celebrities and fashionable women, Rebecca Minkoff is known worldwide for her enviable purse and shoe designs. 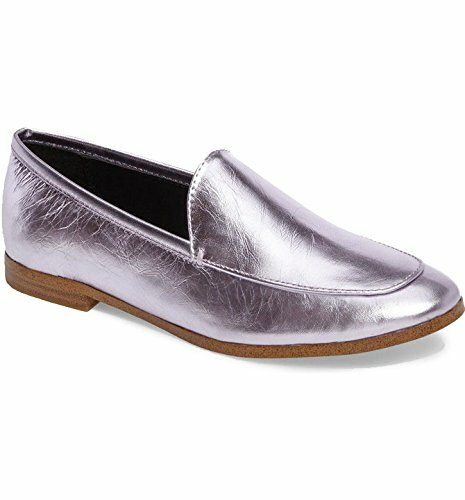 The Dylan Loafer from Rebecca Minkoff is a perfect example. It’s a classic masculine loafer style, but with a feminine and chic twist. The silver leather has been distressed lightly for an effortlessly casual look. Slip these babies on for brunch, meet-ups with girlfriends, or weekends away. They easily turn your outfit into something cool and stylish. The outer sole is well-made and sturdy and ready to take on miles of wear. It’s such a great shoe and I found it super comfortable. I love Steve Madden shoes because they always have an effortlessly chic look about them. They manage to stay elegant and not go overboard by being too trendy. I buy a few trendy items throughout the year, but the majority of my wardrobe is full of classic styles that remain timeless each year. That’s why I love the Ennore Slip-On Flat by Steve Madden. They feature the ever-popular blush pink color. I sometimes think about what life was like before blush pink came into our lives. It’s not sickly sweet or as safe as beige. It’s simply perfect. These flats come in a few colors, but my pick is definitely the blush pink obviously. My feet don’t like to be too crowded, so I love that these are somewhat wider at the front and sides. If you’re on your feet all day, take it from me, you want your toes to have freedom. These comfy flats are a joy to wear with so many of my outfits, which is why these made the comfy flat cut. One of my best friends is a Via Spiga fanatic. She always looks stylish and ready to be photographed, even though she’s not famous or a blogger. She loves looking nice and always has a gorgeous pair of shoes on and a great handbag. 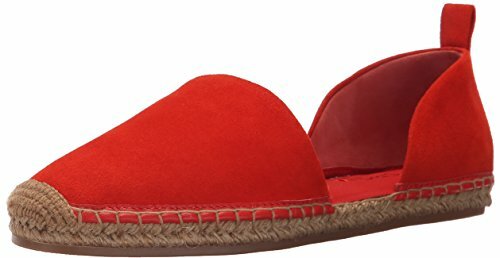 So when I saw these stunning espadrille flats, I knew they were the real deal. They would look great on a vacation in Paris or at home. The design is so elegant yet modern. The famous Parisian beauty Jeanne Damas would definitely approve of these shoes. The fit is very flattering and comfortable. I was able to wear these all week on a recent vacation, without a problem. They also come in black if you want something even more classic. Designed especially for the shoe designer’s flight-attendant wife. Cute! Sometimes, I think, everything has been done before. But then I come across a shoe brand like Rollie and I change my opinion. These shoes are simply perfect. They were designed with a flight attendant’s busy schedule in mind. Specifically the designer Vince’s wife. What a lovely gift. The cult Australian brand is sold all over the globe thanks to its universally great designs. They specialize in comfortable and stylish shoes including sandals, boots, brogues and more. I really love their Rollie Lace-up Shoe with Cut-Out Sides. They are breathable, lightweight, stylish, and comfortable. I mean, what more do you want from a comfy shoe? It ticks so many boxes and then some. The quality is fantastic and these are shoes you will own for a very long time. Check out Rollie’s other designs too, they’re gorgeous. There’s no need to sacrifice on comfort or style when looking for a pair of flats. I’ve definitely suffered as I’ve gotten older (I’m in my 30s!) and can no longer wear any old pair of shoes. Comfort is my main concern, followed closely by style. My grandma may have worn old-fashioned comfort shoes in her day, but I refuse to dress any different because of “my age”. That’s just silly. I wear what I want and will stick to investing in quality shoes that reflect my style. If it’s a bargain of course, I’m all about that too!